Already listed with our shipping companies directory? Take the quality service from Phuket shipping companies to give you the convenience for your transportation. Search the different choices every area in Phuket to suit your need. Select the best shipping company in Phuket for your long route transportation to another place. 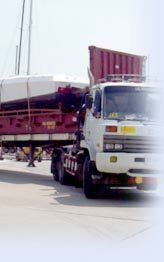 Advance Interfreight Express or Advance Shipping and Moving is a specialist in removal service in Phuket, Thailand and throughout the world with variety of services to satisfy your needs. Big Move Phuket provides the very best services in Packing, Removals and Storage, Exhibitions, Logistics, and Transport. PUSCO, Phuket Universal Services Co.,Ltd, with removals services within Phuket, throughout Thailand and worldwide, leading shipper of Phuket International Removals Service.